The Tehrani Jews, also known as Persian Jews, are an ethno-religious people group who ethnically are Persian predominantly originating from Tehran in Iran and religiously adhere to Judaism. The United States is home to 60,000–80,000 Jews from Iran, most of whom reside in the Los Angeles metro area and in Great Neck, New York. The Great Neck Jews are known as the Mashadi Jews. The Tehrani Jews in the Los Angeles metro area reside mostly in the affluent Westside cities of Beverly Hills and Santa Monica and the Los Angeles Westside neighborhoods of Brentwood, Westwood, and West L.A., as well as the San Fernando Valley communities of Tarzana and Encino. They constitute a sizeable proportion of the population of Beverly Hills, California constituting one fourth of the total population. Their migration to Beverly Hills is credited with revitalizing and re-developing its architecture, and for the development of ornate mansions across the city. On March 21, 2007, Jimmy Delshad, a Tehrani Jew who immigrated to the United States in 1958, became the Mayor of Beverly Hills. This election made Delshad one of the highest ranking elected Iranian-American officials in the United States. He once again took the post of mayor of Beverly Hills on March 16, 2010. Prominent Tehrani Jewish synagogues in the Los Angeles metro area include Nessah Synagogue and the Eretz-Siamak Cultural Center. They also constitute a large part of the membership at Sinai Temple in Westwood, one of the largest Conservative synagogues in the United States. Nessah Synagogue is the biggest Tehrani Jewish Synagogue in the metro area. The Tehrani Jews uphold Judaism according to Orthodox, Sephardic Halacha traditions and customs. Coming together to form a vibrant community, participating in holy days, festivals and Torah study, as well as many social and educational programs, Nessah is the “home away from home” for Tehrani Jews. Pray God will call evangelical Christians to minister among the Tehrani Jews. Pray God will work in the hearts and minds of Tehrani Jews. 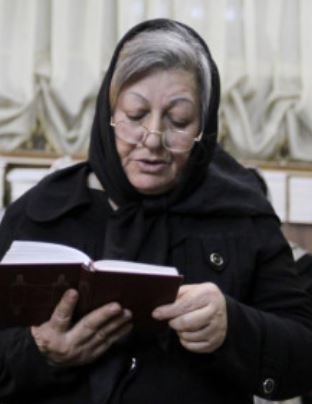 Pray as evangelical Christians work with and among Tehrani Jews they will boldy share a clear and contextualize message of the Gospel for Tehrani Jews.